Many of us take a proactive approach to cold and flu season and already know about the benefits of nutrients such as Vitamin D and C, so let’s talk about Zinc! The mineral Zinc is a cofactor for more than 300 enzymatic reactions! This means we have enzymes that are dependent on zinc in order to perform hundreds of activities throughout our bodies. While high zinc deficiency is rare, it is estimated 2 billion people suffer from marginal zinc deficiency that results in serious health effects for our hormones, skin, vision, and immunity. 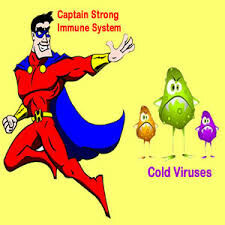 In fact, Zinc is essential to maintain Immune function. Zinc is needed for T-cell growth and differentiation into the white blood cells that we need to ward off disease. It is needed for the process of programmed cell death called Apoptosis to kill bacteria, virus and even cancer cells. Zinc is needed for gene transcription, the first step of gene expression, and for the protective functions of our cell membranes. The recommended daily allowance (RDA) for zinc is 8mg for women and 11mg for men however it is still not known what our optimal levels are. (Remember, RDA’s are about surviving, and optimal levels are about thriving!) We do know that more than 50mg of zinc per day can affect our copper levels. Striving for 15-25 mg, and not exceeding 40 mg, per day is a good guideline. Although there is some amount of zinc in all whole foods, no individual food ranks as an excellent source. If you are seeking to increase your dietary intake of zinc, it is wise not to count on any particular food but to focus on diversity. It is estimated the average North American consumes approximately 10 mg of zinc through their food with only 2-3 at most being absorbed. The absorption of zinc is just as important as finding your optimal levels, because our bodies’ zinc receptor sites are usually taken up by toxins. If you supplement with zinc and do not see improvements in about 4 weeks, there is a good chance your body is unable to absorb the zinc you’ve been taking. It’s important to clear the toxicity from the receptor sites, which then allows our cells to perform the way they are designed to do. We are exposed to more toxins than ever before. For example, Glyphosate (the key chemical in Monsanto's Round Up) inhibits our cells ability to detoxify molecular waste and it is so present in our environment that levels are now detected in human tissue samples. Supporting our natural drainage and detoxification channels and phases has become extremely important, and an overlooked component to restoring health. I like to recommend to my clients a protocol of UNDA Biotherapuetic Drainage Remedies in conjunction with colonics. By using the Undas and colonics, detoxification is happening at the cellular level with drainage additionally supported on the physical level. A Bit More About Your Hard Working Liver! Did you know there are no allopathic tests to see if the liver is performing its functions, only tests to determine if it is damaged? Consider that the liver performs 500-600 enzymatic functions every second! Improving liver functions by removing the burden of toxins not only improves the absorption of nutrients such as zinc, but can help with conditions such as diabetes, allergies, hormone imbalances, PMS, weight gain, and much more. I will write more about this hard working organ soon and how it is the root of many of our health concerns, and how we can love our livers!